Cyber shopping is big business, and for kids who spend a lot of time online it’s as natural as going to the shop to spend their pocket money. It’s also often easier as they don’t have to rely on parents or public transport to get them there, and can teach them to be more discerning shoppers because they don’t have to traipse from shop to shop looking for the best deal. If they follow some simple guidelines there’s no reason a child shouldn’t be able to shop safely and responsibly. A recent study in the US showed that kids from aged 8 upwards were interested in and capable of internet shopping. While at the younger end of this range they might be capable of finding, choosing and deciding they want to make a purchase, the actual transaction should still be supervised by you. This means that, just as in a real shop, you get to see what they are spending their pocket money on and decide if it’s appropriate. For teens old enough to go shopping on their own or with friends this level of control is unnecessary but how do you get around the complications of paying online without a debit or credit card? The vast majority of children, including teens, aren’t responsible enough to be allowed a credit or debit card which is why banks don’t issue them. So if you hand over your credit card details to your teen don’t be surprised if they get carried away. According to a recent industry survey UK teens are spending over £200million on their parents’ credit cards, without their permission. Cyber shopping is easy because you never actually hand over your card or cash in exchange for a purchase. Millions of adults get into debt shopping online so it’s unsurprising that teens run up bills if unchecked. There are reputable prepaid payment cards for under-18s. They look and act like credit cards but don’t allow the holder to spend money that they don’t have. Because these are issued by regulated banks and credit card companies they are widely accepted and relatively secure. Major internet payment companies also offer a prepaid service. 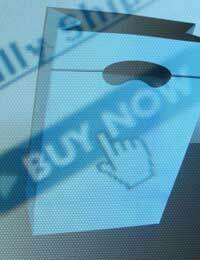 Millions of adults shop online every day but most of us are cautious about the sites we buy from. Make sure your teen understands the terms of business of the site they are using. Do they accept returns? Who pays the return postage? Are there any hidden costs? Is the company reputable and what happens if your purchase never arrives? All of these considerations will help to keep your teen from being disappointed but will also protect your personal information and prevent fraud. Shopping addicts become adept at hiding purchases and will often lie about the cost of something or pretend it’s not new. This is in no way exclusively a teen problem but it is worth looking out for as teens are more susceptible to addiction.